Snapchat is joining the ranks of Netflix, Hulu, Amazon, YouTube, and Apple in the trend toward streaming original programming, but with a twist that rings true to its roots. 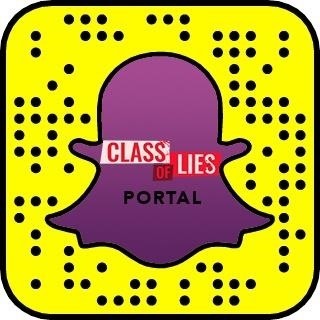 Three of the company's new shows debuted Wednesday in the Stories section of the Snapchat app for iOS and Android. 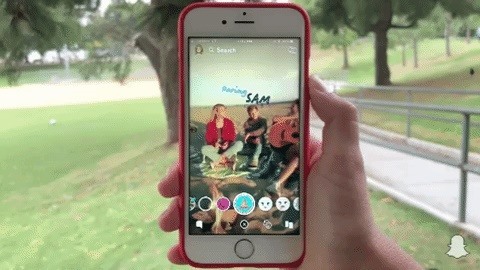 Called Snap Originals, the slate of programs consist of scripted shows and documentaries displayed via vertical orientation, with augmented reality experiences integrated into several shows. 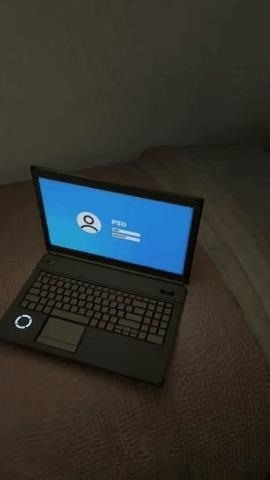 For example, when prompted during a show, viewers can swipe up to unlock an AR portal to a scene from the show. 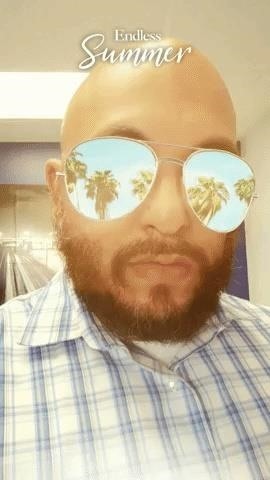 Other AR experiences include show-themed Lenses for selfies, and reaction Lenses allowing viewers to share their reactions to pivotal scenes. 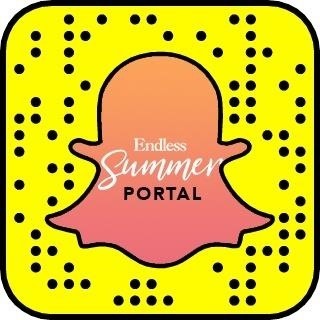 For Endless Summer, a docuseries by Bunim/Murray Productions (the masterminds behind Keeping up with the Kardashians, Project Runway, The Real World, and other reality fare), an AR portal whisks viewers away to Laguna Beach, where they meet YouTube "star" Summer McKean and her bubbly friends. Viewers can then fit in with the group with virtual sunglasses via another Lens. 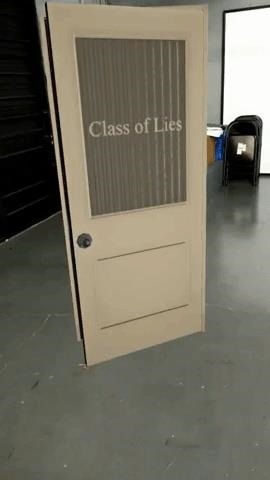 On Class of Lies, a crime thriller that shares creative pedigree with the hit TV series Riverdale, viewers can open a door to the bedroom of a missing person to search for clues. Also included among the launch slate of shows is comedy series Co-Ed, from the well-regarded Duplass Brothers. According to a company spokesperson, two more series will premiere on Oct. 22, namely Vivian, another docuseries about a modeling talent scout, and The Dead Girls Detective Agency, a scripted "darkly comedic supernatural soap" based on the young adult novel by Suzy Cox. Then, just in time for Halloween, the horror anthology series V/H/S (Video Horror Shorts) will debut on Oct. 28. An additional three scripted series and three docuseries have been approved as well, with airdates yet to be determined. Notable titles include Growing Up Drag, another docuseries from Bunim/Murray about teenage drag queens, and Deep Creek, a scripted series from Woodman Park Productions. Episodes clock in at around five minutes, whereas most series on Netflix and other streaming services typically stick to the model of half-hour episodes for comedies, and one hour per episode for dramas. The shows do have awkwardly placed ads (sometimes cutting into the middle of a scene), but they are even shorter in proportion to the episode's length. But it's the augmented reality integration that offers a new dimension to the shows. 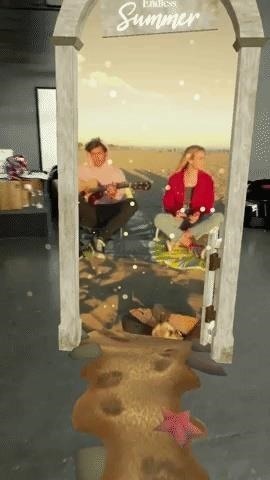 The AR experiences manage to add more depth to the storytelling by making the viewer an active participant rather than a passive observer. Snap Originals also offers an interesting juxtaposition to AT&T's announcement at the L.E.A.P. conference regarding its work on a version of DirectTV Now for the Magic Leap One, giving us yet another example of a legacy media business using virtual TV screens on an AR platform designed for immersive 3D experiences. 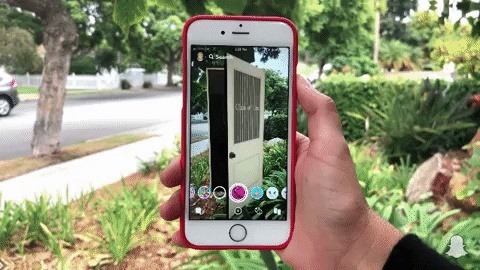 Yes, AT&T's approach is neat trick, but the app still uses flat screens in a 3D world, while Snapchat manages to create a more immersive experience right on your smartphone.